One of the best decisions you can make for International moves to Utah is choosing the right nmoving company. It can be easy to start feeling overwhelmed by just the thought of an international move. Enlisting expert help can really avoid the extra stress and outsource some of the backbreaking work. International moving companies are professionally trained in moving techniques and skills to ensure you move is handled in the best possible way. Intlmovers provides you with one of the easiest ways to get up to six moving company quotes for your international move to Utah. It is one simple request and up to six international moving quotes in response from a number of different companies. Compare the different quotes that you receive and find the right moving company to suit you and your international moving needs to Utah. Using Intlmovers is cost free and very simple. Just select where you are moving from using the drop down menu. After clicking on the ‘Find moving companies’ button, you will automatically see a list of matched international movers. 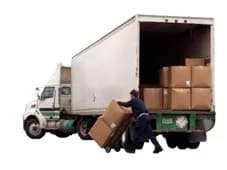 These companies offer international moving services for your required departure location and specifically assist with international moves to Utah. International movers you find with Intlmovers have many years of trusted and reliable experience with moves to Utah. Relieve stress when you use an international mover to handle your moving logistics. Comparing international moving services can be done in the comfort of your own home. Salt Lake City is the capital city of the US state of Utah. It is also the largest city and has around 190,000 people. An extended urban area population of nearly 2.4 million people. The state’s total population is just under 2.9 million people. This concentration of people in the Salt Lake City region has resulted in Utah being one of the most urbanized in the country. Provo and Ogden are two other major cities located in the Wasatch Front region of the state. This is a long narrow area that is bordered by natural features of lakes and the Wasatch Ranges. The total area of Utah is nearly 220 thousand square kilometres. Together with Arizona, Colorado and New Mexico, Utah forms one of the corners where four USA state borders meet and is represented by a monument. With a combined semi-arid to desert climate, Utah experiences extreme weather conditions. It is a state of natural diversity and experiences hot and dry summers, with cold evening temperatures. Coal mining along with copper, gold and silver have been important components of the mining industry. Cattle ranching and farming are also key agricultural areas for the state’s economy. There are a number of petroleum companies in the state. As with many states, government positions are one of the major employers in the region. Tourism is also a major attraction for this state. There are a number of national parks and world class winter sport facilities. Our system has details of moving companies located all over the world, who assist people and businesses relocate to locations anywhere in the world. These international movers have extensive experience with all facets of shipping and transport. Their experience helps to ensure that your shipment is managed in the best possible way to ensure the safe passage and arrival of your shipment at its required destination. There is absolutely no reason to not give Intlmovers a try, because all quotes that you receive our provided independently and directly to you by the international movers themselves. You are under no obligation to choose any of the quotes you receive for you international move, should you feel that they don’t meet your expectations or requirements.